Home » Party Time » Quick and Simple Halloween Favor Idea! Quick and Simple Halloween Favor Idea! Posted by Sarah on Oct 26, 2010 in Party Time | Comments Off on Quick and Simple Halloween Favor Idea! Need a quick and simple idea for Halloween Favors? Here’s one that’s so easy it’s scary and you can make a bunch for just a few bucks! Everyone loves lollipops and these little Ghost Pop favors are adorable! I found the images above at PassionforParties you can check out their site for more clever ideas. Wrap white tissue over a round lollipop. The size of Tootsie Pops or Blow Pops are perfect. Tie an orange or black ribbon at the base of the lollipop to secure the tissue. This creates your ghost. Then with a fine tip black sharpie marker draw the face on the ghost. Make two dots for the eyes and a larger dot for the mouth, warning: don’t try and be fancy the tissue bleeds. When you have a bunch display them on a tray or in a pumkin like the image above. 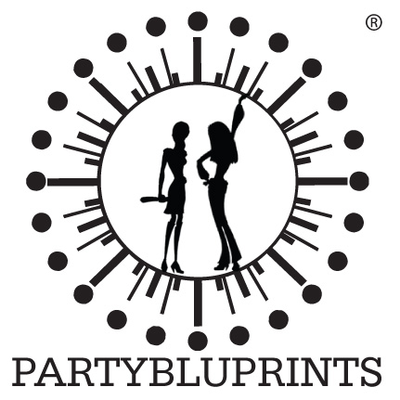 From the amazing women at Partybluprints!